We are proud to present the classic science-fiction TV show 'Salvage 1' on DVD. 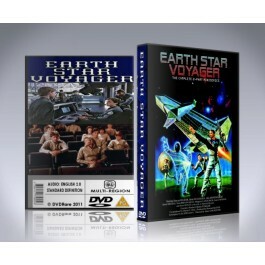 This DVD Set contains every episode of this show ever made, and it's exclusively available at DVDRare.com for a limited time only, including the ultra-rare TV-Movie 'Salvage'! "Once upon a time, a junkman had a dream: "We'll build a spaceship, go to to the moon, salvage all the junk is up there and bring it back solid." So he put together a team, an ex-astronaut, a fuel expert, they built a rocket ship and went to the moon. Who knows what they do next?" Salvage 1 is an American science fiction series that aired for 16 episodes (of the 20 produced) on ABC during 1979. The pilot film, Salvage, aired on January 20, 1979 to high ratings. Harry runs a salvage operation, in which he and his partners reclaim trash and junk and sell it as scrap (or as other things). Harry also has a home-made spaceship which he sometimes uses to reclaim junk satellites. Noted science fiction author Isaac Asimov served as the show's scientific adviser. PLEASE NOTE: The video quality of the Salvage One DVD set is low, as this is the only surviving footage of this show. That said, the episodes are watchable. The set contains all every episode of the show, exactly the same as they were shown on TV back in the day! �This DVD Set is brand new and sealed.